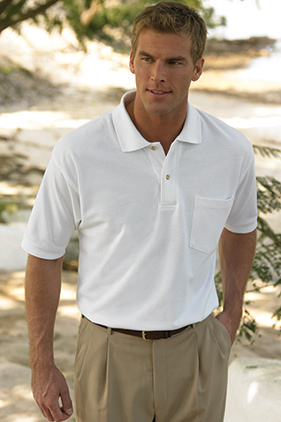 100% combed ring-spun cotton 6.8 ounce pique sport shirt with left chest pocket. Woodtone buttons set in a clean-finished placket. Taped neck. Single-needle, top-stitched shoulders. Side vents with an extended tail.